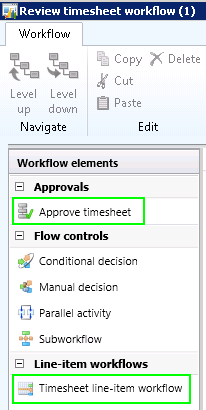 Approve timesheet: It is used to define the approval at document level or timesheet header level. 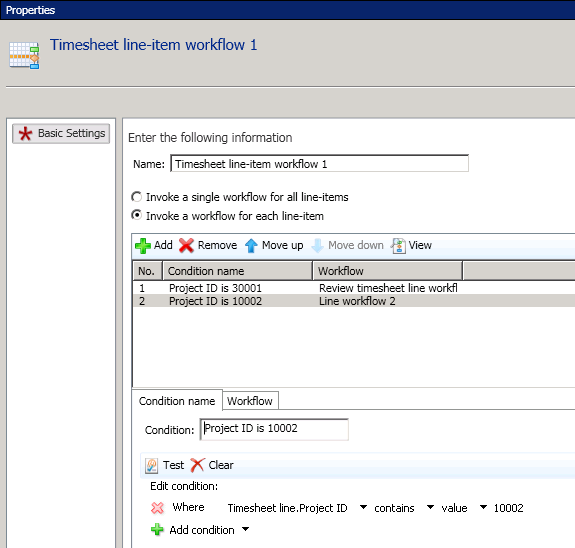 Timesheet line-item workflow: It is used to define the approval at the detail line level. In such case, you should set up a new workflow of type Review timesheet line workflow and join the new workflow to this workflow element belonging to the main workflow type Review timesheet workflow. 1. Click Project management and accounting. 2. 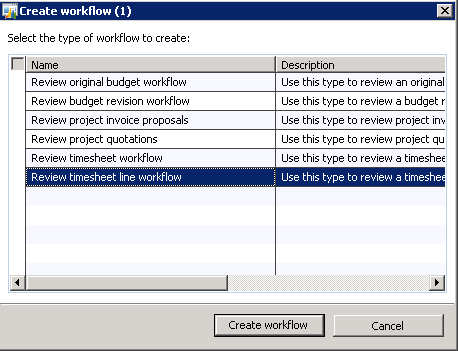 Click Setup and then click on Project management and accounting workflows where you will select Review timesheet line workflow. 4. 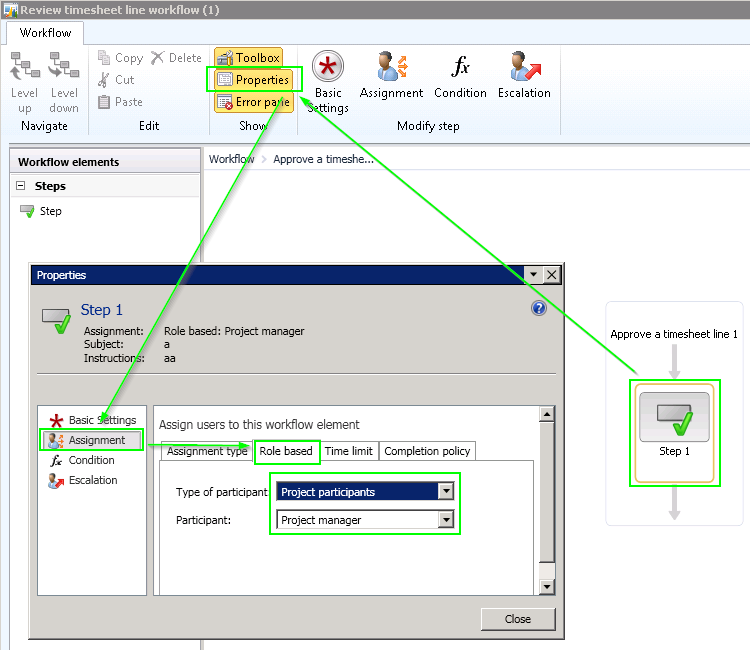 In this example we have assigned the approval to workflow participant – Project manager. In this case the line approval task will be assigned to Project manager responsible for the project specified on the line. 5. Once you are finished close the workflow, save it and activate it. 2. Click Setup and then click on Project management and accounting workflows where you will select Review timesheet workflow. 3. 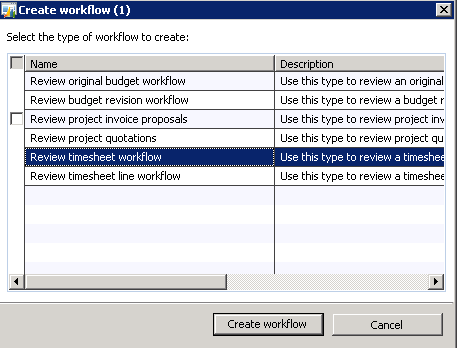 Configure the workflow structure like in previous step, but note the new element Timesheet line-item workflow. Add this element to the workflow processing and open its properties. Note: You must define at least two conditions and an associated workflow within a line-item workflow element. 6. 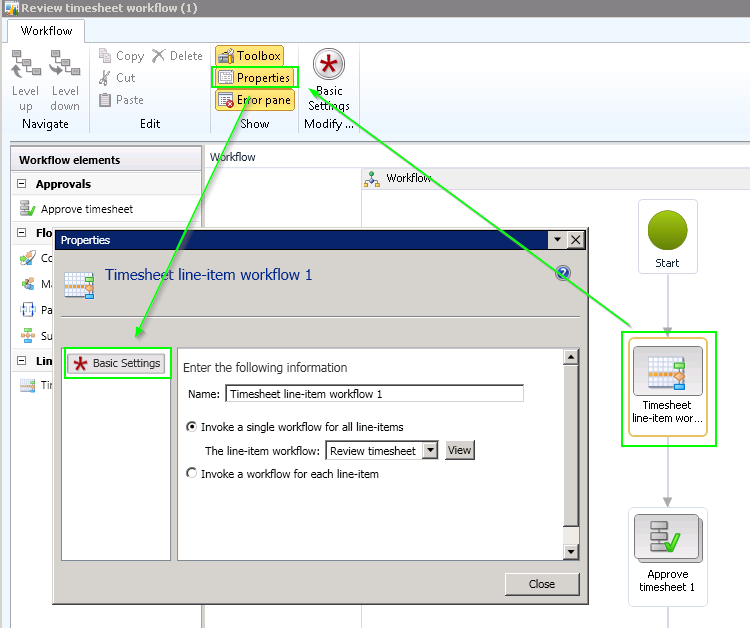 Once you finish the workflow setup – close it, save it and activate it. Note: In Microsoft Dynamics AX 2009, the approval level is defined within timesheet parameters. 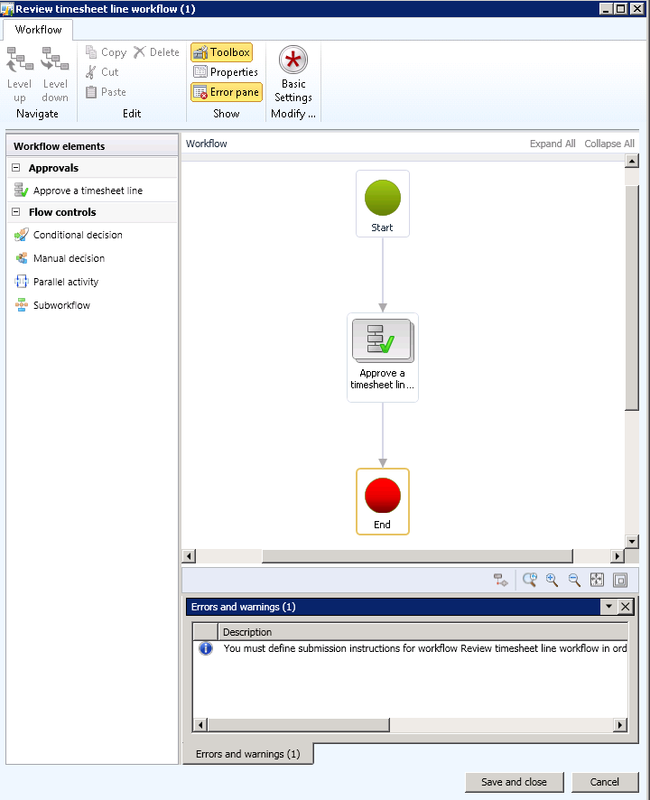 It is removed in Microsoft Dynamics AX 2012.